Mads Lange (1807-1856) was the first European to set himself up in south Bali. He singlehandedly put south Bali on the trading route and helped prevent Dutch rule for a period of time. Europeans have been coming to Bali since 1597 when the Dutch landed in Kuta and one of the most famous was Danish trader Mads Lange who came to Bali in 1839. In less than 20 years after his arrival he managed to set himself up as the "White Raja of Bali" simultaneously delaying Dutch sovereignty of the island and also putting it on the trade map. Mads Lange first went to sea at age 18 and by 1833 had a trading outpost in Lombok. His business involved selling rice to China and Singapore in exchange for kepeng, which are Chinese coins, opium and other goods. One problem for Mads was an English guy called George King, who with the help of a local raja manage to force Mads out. He subsequently moved to Bali and set himself up in the Kuta area. Lange enjoyed great business success in Bali and his 2 main activities were trading in rice and acting as a middle man for local Balinese produce from all over the island. Products he dealt with, as well as rice include coconuts, tobacco, coffee and cattle. His "ace in the hole" was he paid locals in kepeng and set the exchange rate himself. During this time he lived in a family compound with his wives and many other companions. The street close to the night market in Kuta is called Jl.Tuan Langa after him, although I reckon if you ask a Balinese local they would have no idea about this. 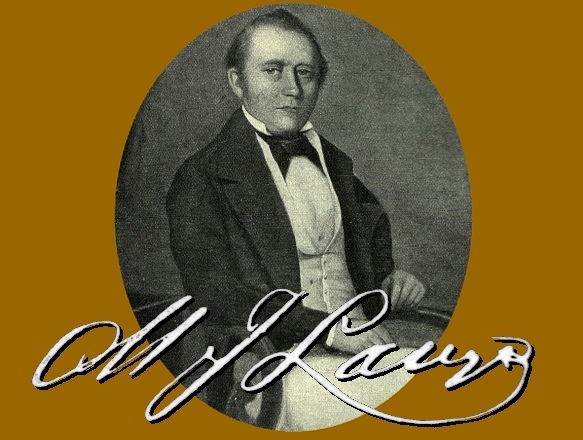 One of the highlights for Lange was his appointment by the Dutch to the post of official agent for the Dutch East Indies government in 1844. His personal contacts which included the higher ranks of Balinese society and his trading connections meant he was in a great position. However his new role was tricky because the Dutch were invading the north of Bali and had a naval blockage on the south. Lange had to smooth things over with the locals and in 1849 managed to get both parties to sign a treaty. This meant Dutch rule in the north of Bali and an end to the blockade in the south. After the treaty was signed there was huge party at Langes house attended by 30000 people. That was pretty much the highpoint for Lange as in later years trading in the region focused on other places. In 1856 Lange decided to return to Denmark but right before leaving fell ill and died. The rumor was he was poisoned by a local raja. He was buried at his home and his tomb remains to this day. Mads Lange had 2 sons by a Balinese princess and a daughter by a Chinese woman. His daughter went on to marry the Sultan of Johor in Malaysia. How do I feel about Mads Lange? He was definetly a guy who lived an exciting life and who did it his way. The problem for me was that if you look at history, the people in Bali and Lombok, particularly Lombok, were gradually being worn down by trading their produce to the Chinese and people like Mads Lange. Mads Lange was part of the whole scene, whereby outsiders, with business skills and leverage, could gain access to the assets of a village people, operating from an entirely different set of guidelines. Setting himself up as the only source of kepeng and then setting the exchange rate for goods, he virtually wrote his own check. The Balinese, at least the ones who aware of him seem to have an okay opinion of him.